Older 660 sq ft single wide fixer with a very nice newer 624 sq ft stick built addition. 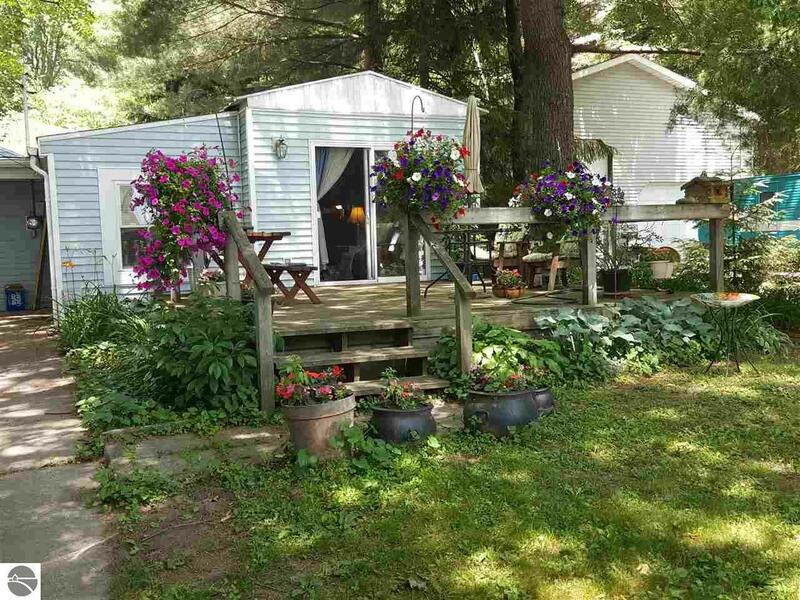 Nice 12x12 deck with great views of the Lake across the street. Across the street there is a waterfront lot and dock with a 1/3 undivided access shared by this property and the two neighboring properties. Behind the home there are 3 additional lots first with 534 ft of access to the canal, the other two lots have 3 storage sheds and fruit trees, the last lot is accessible to the Lone Pine Drive (the street behind the property) and has a seperate address listed in the legal as 125 Elm Dr which makes it a great opportunity for a off water storage building for your boat or toys . This is a great opportunity for a handyman to finish fixing up the existing single wide, or to build equity by removing the singlewide and adding on to the stick built addition. Owner has put in new windows and has some of the materials on site to finish updating the single wide. Waterfront Details: Priv Frontage (Across Rd), All Sports, Water View, Sandy Bottom, Public Lake, Sandy Shoreline, Yes, 25 Ft.